StitchyDonDesigns: More and More Table !!!!!! More and More Table !!!!!! Beautiful stitching Donna and yep it is coming along very nicely! 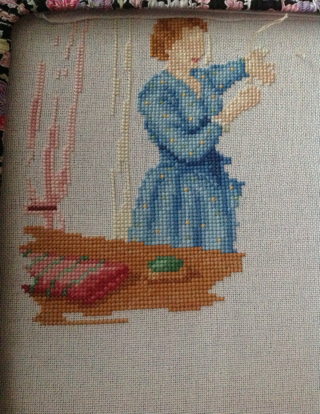 Progress on Victorian Dressmaker !!!! Halfway !!!!! Happy Dance !!!! !